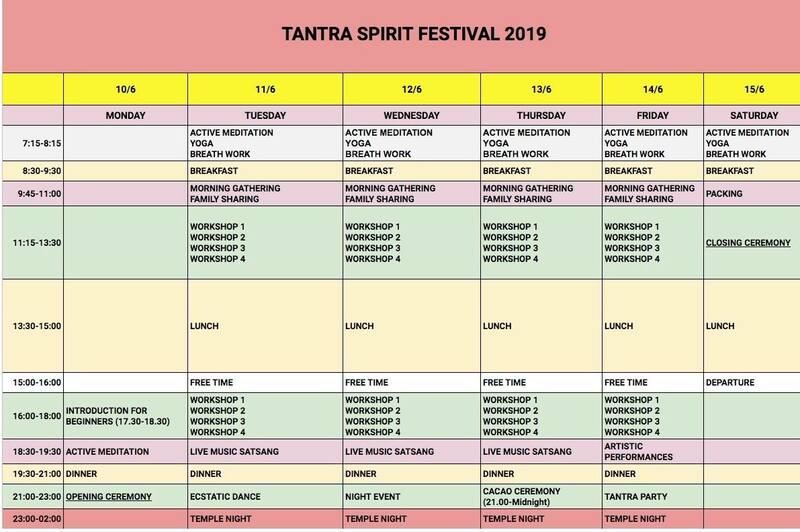 Tantra Spirit Festival is a unique blend of Tantra and Shamanism accompanied by Dance, Live Music and Art performances, Sacred Rituals and Meditations, held under the guidance of internationally acclaimed teachers in the field of Tantra, Sacred Sexuality, Dance and Live Music. The program has been created in such a way to make sure each and every participant will have a “taste” of the many events that will be presented during the week. This year’s festival theme revolves around the 5 elements (Earth, Fire, Water, Air, Ether). Each workshop will include precepts of the 5 elements and their characteristics. 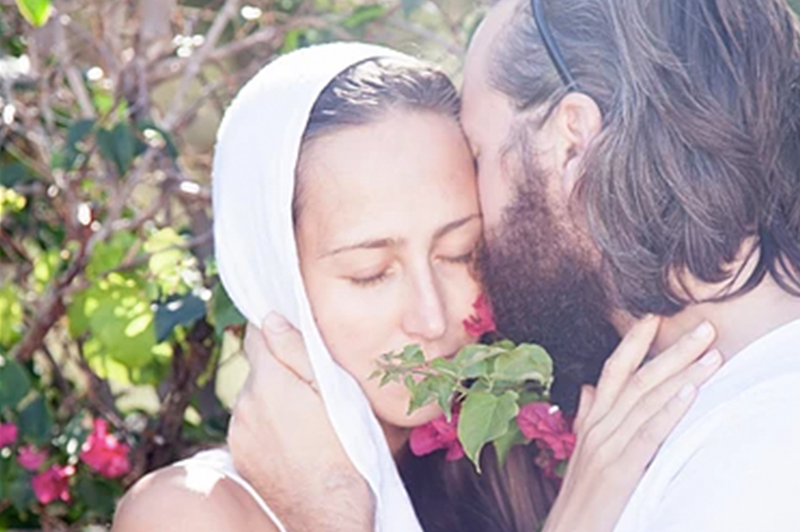 What makes a Tantra Festival rich and creative is the variety of teachers brining their own style and flavour. Breath work, emotional release, dance, partners exercises, group ritual, meditation, healing, massage, question and answer forum. *Each day starts at 7.15am with a choice of Yoga, Dance or Active Meditation. *During the morning gathering, teachers will present their workshop as well announcing relevant infos for the day. *This will be followed by a Family sharing by group of 5 or 6. Each person has a chance to share their experience of the festival and what is moving for them internally. *There will be 4 workshops running simultaneously in the morning until lunch time. *Free time is the perfect slot to book yourself healing sessions or simply hang out by the pool or the sea. *During the afternoon, there will be an additional 4 workshops. 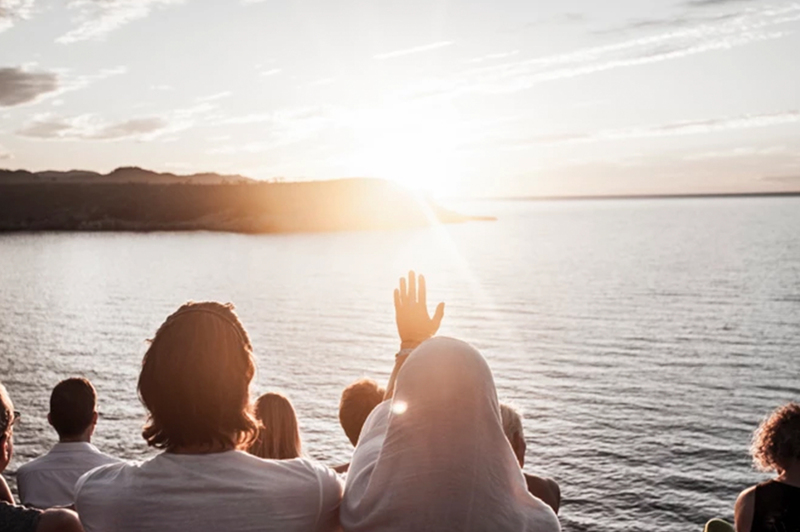 *During sunset time we invite the whole festival to come together and “re-group” for a silent meditation gathering with Live Music and an Artistic Performance on the last day. *Night events have been designed to celebrate and ground the myriads of experiences of the day. *This is a great way to feel yourself empowered, wild and free! *Temple Nights are dedicated in reviving ancient rituals and “non formal” practises of various traditions from all over the world.